It’s common practice to see people incorporate their hobbies into other parts of their life, whether it’s naming their child after a beloved book character or only ever wearing a certain style of clothes to public events. What do you do when you’re given the chance at something really big, though? We may not know what brand of underwear Neil Armstrong wore in space or if Stephen Hawking enjoyed James Bond novels, but some important people like to make their preferences well known. 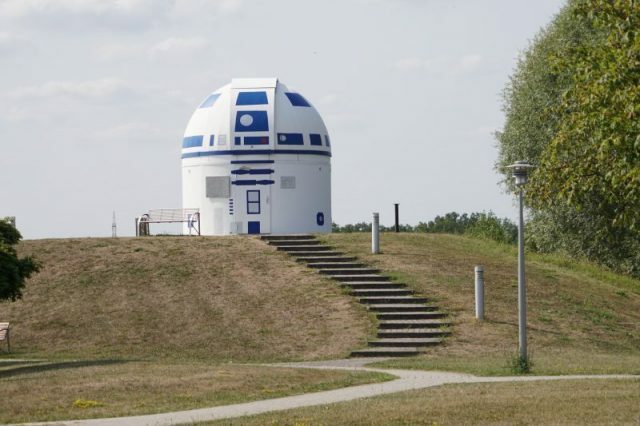 If you’re wondering if Zitt likes Star Wars, all you have to do is drive down the A8 in Germany. 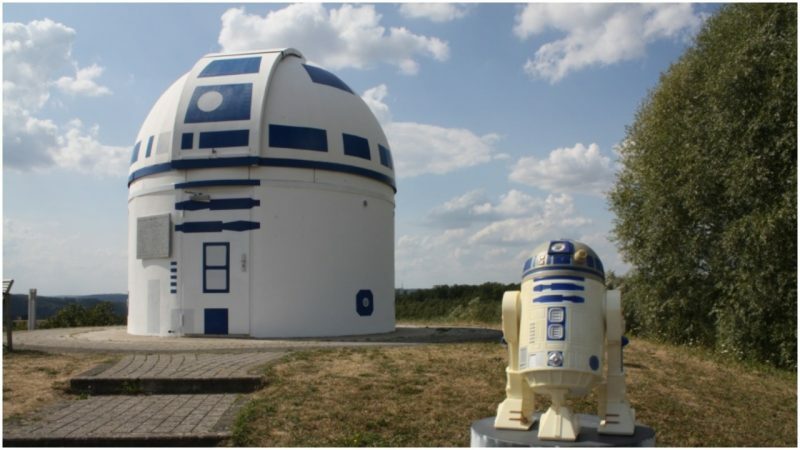 On the top of a hill overlooking the city of Zweibrücken sits the university observatory. 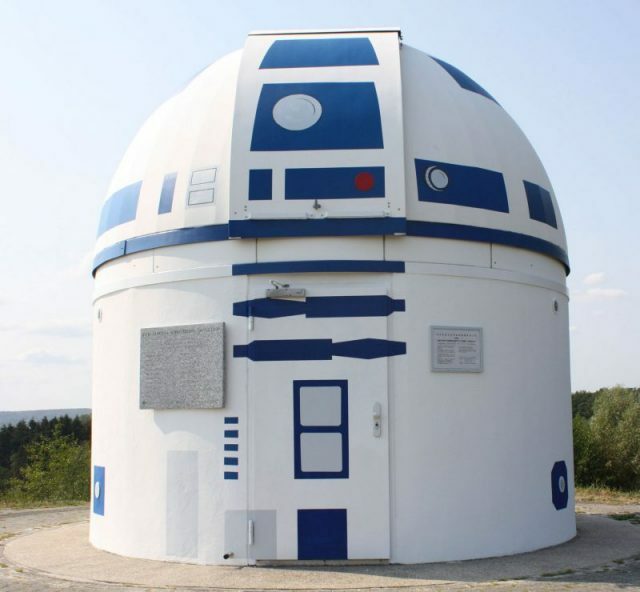 Given its lofty perch, it’s impossible to miss — especially since Zitt decked it out in bright blue and white, turning the observatory into a spitting image of famous sci-fi droid R2-D2. 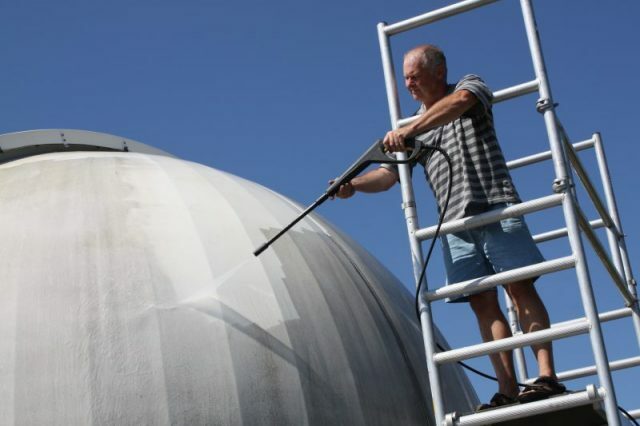 As the structure already has a domed shape, all Zitt had to do was break out the paint. The project went by more quickly with the helping hands of Zitt’s father-in-law Horst Helle, friends, and students. 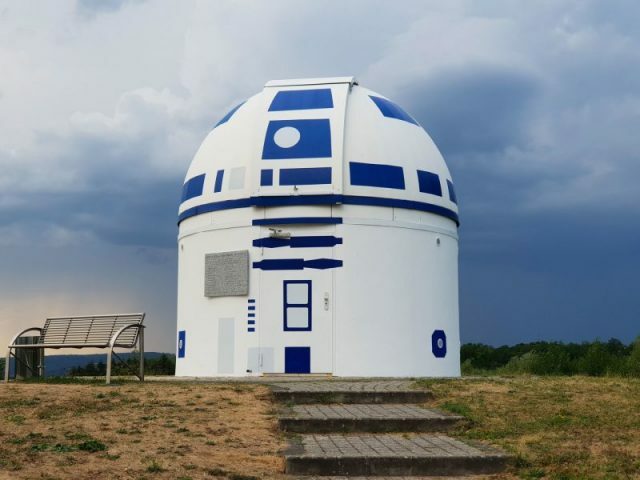 Though he’s not the first to create such a large homage to the science fiction genre, let alone to R2-D2, his structure is definitely more permanent that the Carleton College’s 2010 tenting of their Goodsell Observatory in fabrics mimicking the renowned robot’s stripes. It’s pretty obvious that he was a nerd for years before this space-themed facelift. Zitt’s sci-fi admiration knows no bounds, and he doesn’t limit himself to one universe. Along with the son of the famous T.V. writer Gene Roddenberry, creator of the original Star Trek, Zitt wrote the preface to Star Trek in Germany, published in 2008. Before this collaboration his name was already well known in the science and sci-fi community as a Global Topspeaker — a German equivalent to TED talks — giving lectures on the futuristic technology of Star Trek. From there, Zitt branched out, being invited to speak at several events across the globe, including Europe’s largest sci-fi convention, FedCon. He doesn’t remain in orbit around Europe, though. Later on in 2008 he was invited to become a regular lecturer in San Antonio, Texas at the University of the Incarnate Word where he teaches The Physics of Star Trek, applying his scientific knowledge to the fictional world. Zitt’s dedication to his favorite film just goes to show that popular culture knows no limits and can be translated in many different ways. 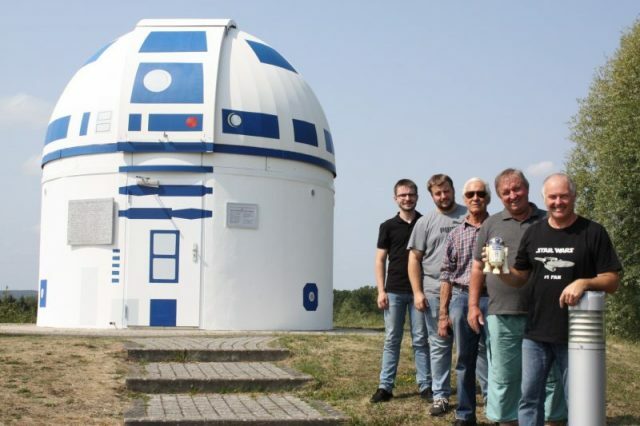 What better monument to Star Wars than an observatory?